It’s smart to review your credit reports regularly to double-check the information being submitted by lenders, credit card issuers, public agencies and sometimes landlords. Federal law gives you the right to see the data that the three major credit bureaus — Equifax, Experian and TransUnion — have collected. Use AnnualCreditReport.com to request the free reports you’re entitled to every 12 months. Errors in your credit reports can cost you points on your credit scores, so fixing mistakes is worth the effort. If you find an error in your Equifax report — for example, a late payment you believe was made on time — you can dispute it. 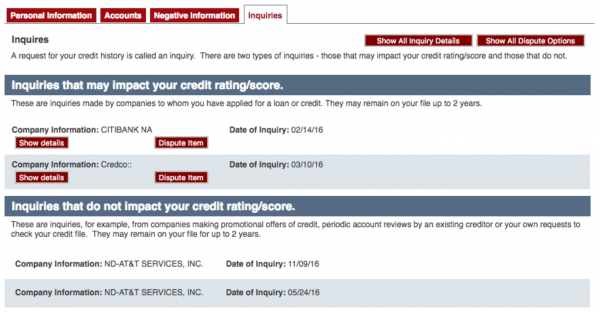 What should I look for on my Equifax credit report? Equifax recommends checking personal and account information especially carefully to be sure it’s accurate and complete. Note that payments can take up to 30 days to appear on your credit report. If you see mistakes, gather documentation supporting your case and dispute your Equifax report. The bureau has 30 business days to respond. Under each item in a section, there are two small red boxes, one saying “Show details” and the other “Dispute item.” Follow the directions after you select one. Have supporting materials, such as credit card statements, canceled checks, proof of identity or a utility bill confirming your address, ready to upload. You’ll receive a 10-digit confirmation code for future reference. You can check the status of your case anytime by revisiting the dispute portal. Equifax will contact you with the outcome of the dispute. Note which item or items you think should be corrected and explain why. If you’re disputing an account, include the account number. Send copies of supporting documents — not originals. Equifax will respond by mail. You can call Equifax at 866-349-5191 and use the automated instructions to request a credit report, place a fraud alert or freeze your credit file. There is an option to speak with an agent, but in the wake of the September data breach, hold times are long and a recording suggests using the online portal or mail to dispute. Equifax has 30 days to investigate the things you dispute and respond to you. If it agrees with your dispute, it will change the information on your credit report. Check your credit report afterward to make sure the changes were made. You should also be able to check online. However, Equifax might determine it is correctly displaying the information it was sent. If so, you might need to talk with the creditor or other source that provided the data. Ask that agency to correct the information, then follow up with Equifax to make sure the change is reflected on your credit report. Next, get in the habit of checking your credit report frequently to keep up with new data. In between your free annual copies from AnnualCreditReport.com, you can check your TransUnion credit report at NerdWallet as often as you like. Regularly monitoring your free report can give you an early warning of potentially score-damaging problems.